With thousands of panels and events, it’s nearly impossible to experience everything you want in one weekend at SXSW. 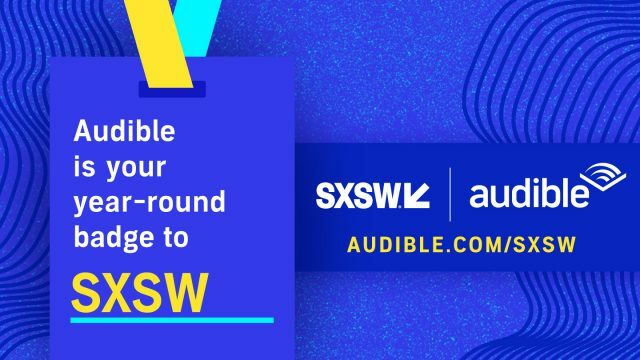 That’s why Audible and SXSW have teamed up to give you more from your favorite speakers, curating over 100 audiobooks from 2019 & 2018 panelists and offering a special 2-month free trial for SXSW attendees. Whether you’re gearing up for your most anticipated session or want to hear from a speaker you can’t see, Audible invites you to laugh along with comedy greats, change the world with social innovators, take charge with the best in business, and practice personal wellness with self-development stars. Listen to best-selling works by Trevor Noah, Busy Philipps, Michael Pollan, Rachel Hollis and so many more at Audible.com/SXSW. Audible keeps you connected and inspired well after the festival ends – all year-long. Explore these speakers, stories, and more today at Audible.com/SXSW.